With the HPU you can pressurize objects with a hydraulic pressurization system that is fully adaptable to your requirements. The HPU has a solid workshop design and offers the possibility to be integrated in your production process, which makes that the HPU can offer you a reliable system that streamlines your operation process. The system can be as well manually operated as automatically. For an automated pressure cycle perfomance, an optional process controller with touch pannel can be added.Due to its ergonomic operating panel, with panel mounted features (e.g. a control bleed and gauges), the HPU contributes to a responsible working environment. Another advantage of this system is its modular design with different optional components. These options can be chosen from a wide range of our air driven pumps and/or gas boosters, and valves and fittings, which are all manufactured by Resato. 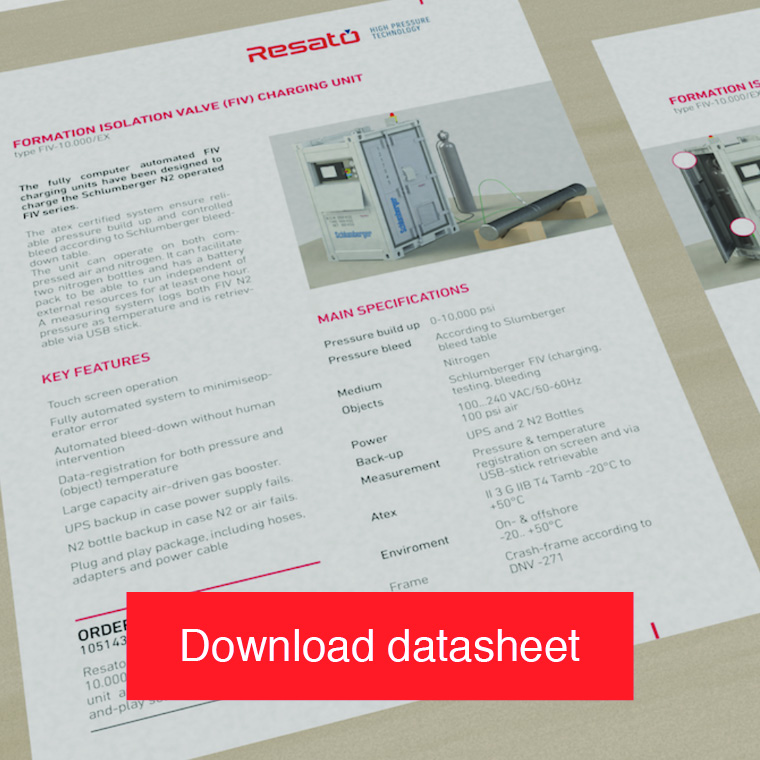 If you want to use pressurized gases as the testmedium, you can choose from one of Resato’s many types of single-acting, double-acting or two-stage air-driven gas boosters for pressurization. Combined systems with both air-driven pumps and gas boosters are also a possibility. Materials All main components e.g. high pressure valves, fittings and wetted parts of the pump are made of corrosion resistant high tensile strength stainless steel alloys.